Colour printing is a powerful asset. It can influence and attract, or do the exact opposite, repel and mislead. Graphic designers spend a lot of time choosing the colours for logos, presentations, business cards and all other sales and marketing materials, but without the right printer all their efforts are in vain. When it comes to choosing the right printer for your office, consider how quality colour printing can be responsible for a great ROI while poor quality printing may negatively impact your sales. Here are key areas where colour matters more than you might have previously thought. The colours your logo and other graphical identity symbols are printed in is often the first thing a potential customer or business partner sees. If they are not identical to those on your online channels (website, blog, social media networks), your company will be harder to identify or remember. Low quality printers with poor resolution cannot display your brand’s colours faithfully. Furthermore, poor quality printing tells your potential customers the wrong story. Do you want them to believe that your company doesn’t pay attention to detail or that you are not committed to quality? Did you ever use coloured highlighters when you are studying? They help you associate key pieces of information with certain colours. The same goes for sales presentations and other documents: when the colours are right and perfectly printed, people who read your documents are more likely to remember what they’ve read. In fact, you can use colours to draw their attention to key points to get your messages read, understood and remembered. The same goes for your employees. If they need to print documents such as; graphs, charts and infographics they are much easier to remember, absorb and present if the information can be associated with certain colours. In recent years, colour printing has become more affordable than ever. This is why many small and medium businesses have made the changing to do most of their colour printing in-house. In addition to being more affordable, it is also more convenient as you don’t have to wait for the supplier to deliver your prints, you can simply do it yourself with just a couple of clicks. In fact, the latest technology can offer you outstanding print quality and help you save money at the same time. 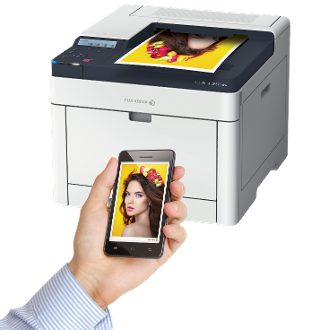 Forget about the time when you had to pay $5000 for a printer that offered a decent colour quality; you can now get resolutions up to 1200 x 2400 dpi in a simple desktop device such as the DocuPrint 315 Series. Even more, you can link your printer to the cloud and get unparalleled flexibility for any printing, scanning, copying and faxing job. Just think about how much time your sales reps could save and how much more impactful their marketing collaterals would be.